Social Investment Scotland celebrated its 15th anniversary in September 2016. In every year since it was founded in 2001, SIS has built on the achievements of successive years, with 2015/16 being no exception. From a growing range of funds and products, SIS has made £53m of investment in 237 organisations across Scotland. SIS looks forward to the next 15 years and beyond, continuing to support high-impact businesses to sustain and grow their social and economic impact. SIS (Community Finance) is our core loan fund. This fund provides a range of flexible loans from £10,000 to £250,000, including our popular bridging loan product. The £31.8 million SIF was created in 2008 by the Scottish Government to help build the capacity of the third sector in Scotland. 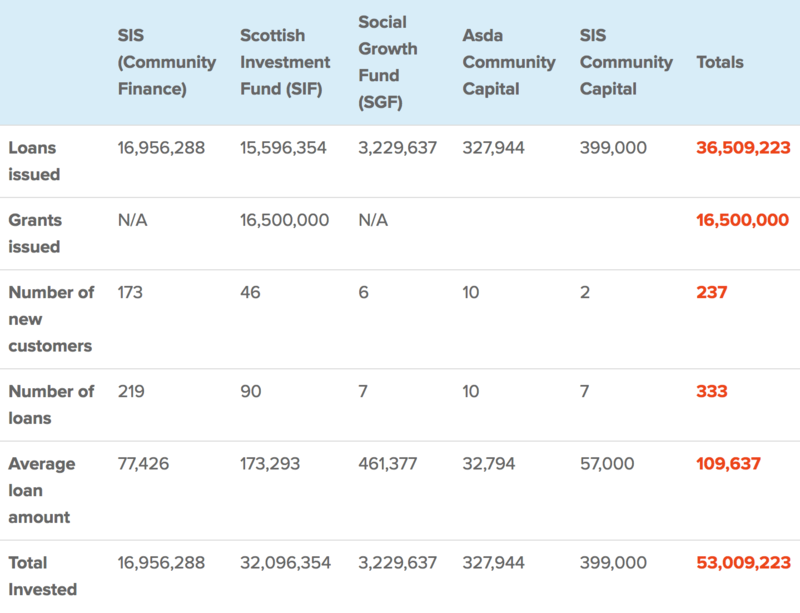 The fund has invested in 67 organisations, in a range of sectors, across Scotland. 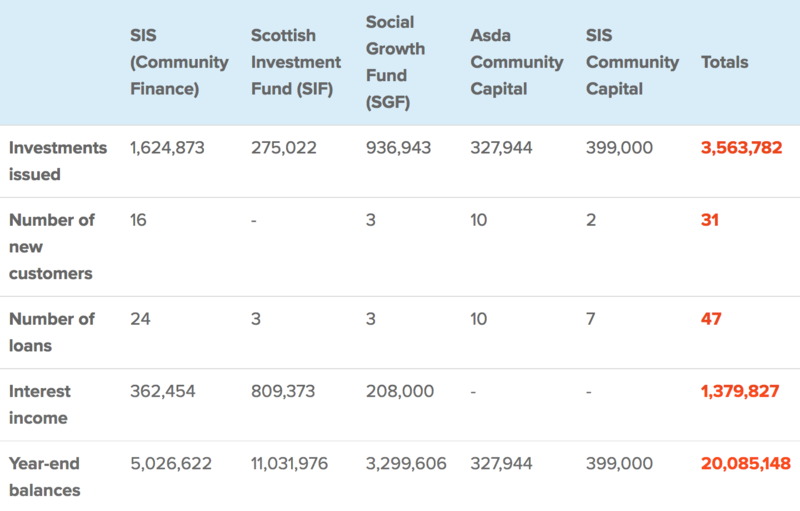 The SGF is a £16 million partnership between the Scottish Government and Big Society Capital. The fund provides loans from £100,000 to over £1 million. SGF has a risk capital product which, if offered, is popular with organisations looking to grow their activities and impact. Designed to support early-stage social enterprises looking to access social investment for the first time. Loans range from £10,000 to £50,000, with 5% interest rate and interest-free for the first year. The innovative fund (using social investment tax relief) suited to social enterprises looking to scale. Loans of £25,000 to £100,000, interest-only for the first three years at a rate of 6%. Full annual accounts can be found on our website. In 2016, SIS was the first Responsible Finance provider in the UK to undertake the comprehensive, third-party credit rating assessment by Aeris.